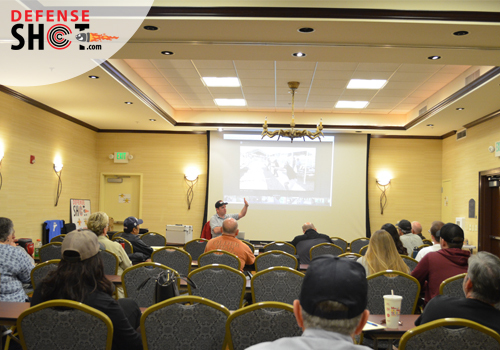 Protect Yourself In Over 30 States With Our Multi-State Concealed Weapons Permit Classes In Folsom, CA! Book My CCW Class Now! Now 36 states allow for obtaining a CCW whether you are a resident or not. Be mindful this number can change and it becomes incumbent on you to stay educated when traveling or moving. This course will educate you as to all the forms you will need to have for gaining a CCW permit in 36 states as of this time. Nevada was recently added to the list of states that do not require any type of recertification to obtain your concealed carry. Laws may seem funny, but the fact is CCW is growing in popularity nationwide. Only a few have strict regulations about taking their state certification test. With this (currently 36) Multi-State CCW course, you will be ready to go in the states involved. It is extremely important to note a California CCW is NOT required to obtain your Multi-State CCW Certification. Crime does not know borders and you need to be ready wherever you travel in the United States. Knowing that 36 states currently make it easier to obtain a CCW is why we offer this course. BCI will run one background check in this class after you submit all the necessary documents. This is only a 4-hour class, but you will leave it prepared to handle obtaining your CCW in many states. There is no better time than now to click the button and be sign up to begin this class with DefenseSHOT. It is hard to keep up with the various laws that each state puts into place for obtaining a CCW permit. 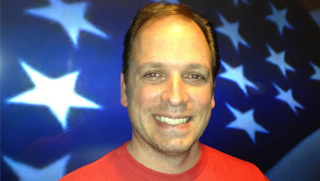 In this Multi-State CCW Course, I take the tension and confusion out of the mix. The class time is only 4 hours, but it is 4 hours of everything you will need and need to know. I will obtain your information that BCI requires running a background check. This is a painless procedure that follows regulations about having a firearm. The criminals will not be in this class because they will not pass the computer check of their past. You, on the other hand, will come out just fine. In this timeframe, you will have your fingerprints rolled on three print cards. This saves you time and the necessity of ever having it done again when you go some other participating state. Criminals will not be in this class because they will not pass the computer check of their past. You, on the other hand, will come out just fine. In this timeframe, you will have your fingerprints rolled on three print cards. This saves you time and the necessity of ever having it done again when you go some other participating state. The states listed are the current known ones to accept CCW certification from this course. * Indicates carry at age 18. 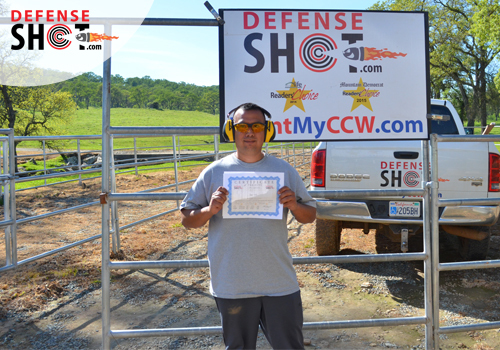 DefenseSHOT currently boasts a 100% approval rate for all of the Sacramento & El Dorado County CCW students I have trained over the years. As I said before, going after your CCW in differing states can be somewhat confusing. This class is going to give you the assurance in being ready when you may need to obtain your CCW in Nevada or Arizona or wherever that falls within the list. There will be some states that will be a more involved, but most of the states will fall into this class parameter. Part of CCW is knowing how to handle yourself in a stressful situation. Having your CCW means you have the legal authority to use your firearm when conditions require you to respond defensively. You will be motivated to feel secure in what you learn and know. Knowledge is your greatest tool and you will have your toolkit filled when you complete this course. A CCW means you can respond appropriately. Going after your CCW is a step that many people feel blindsided in knowing what to do. 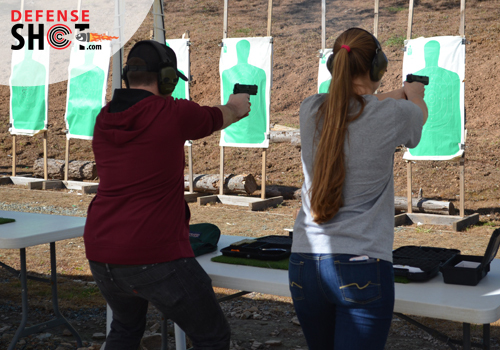 DefenseSHOT was established to help people like you to be confident in your knowledge and proper handling of handguns. Additionally, the courses offered to give you the insight into laws and documentation that is pertinent to have a CCW permit.I go to great lengths for your success. I do not teach using a lectern (well maybe sometimes) and a pointer. The only thing that is pointed in this school is a firearm down range. Knowing and using a weapon in the correct fashion is what you will leave with. DefenseSHOT will place in your wheelhouse what is needed for you to succeed.I go to great lengths for your success. I do not teach using a lectern (well maybe sometimes) and a pointer. The only thing that is pointed in this school is a firearm down range. Knowing and using a weapon in the correct fashion is what you will leave with. DefenseSHOT will place in your wheelhouse what is needed for you to succeed. I go to great lengths for your success. I do not teach using a lectern (well maybe sometimes) and a pointer. The only thing that is pointed in this school is a firearm down range. Knowing and using a weapon in the correct fashion is what you will leave with. DefenseSHOT will place in your wheelhouse what is needed for you to succeed. 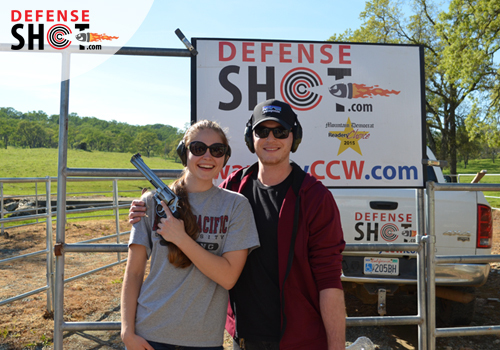 Book Your Multi-State CCW Class With DefenseSHOT Today! The time to decide is now. If you have travel plans now, or in the future, you must think in terms of your firearm. Criminals do not play fair and seek to do you harm if it pays off for them. Think about yours and your family’s safety. You want to be able to have a CCW in the state you are traveling to…or even relocating to permanently. Click on the button below to begin the Multi-State CCW Course. It is a decision that you will know is the right one. Why? Because you have a right to life, liberty and the pursuit of happiness. Do not allow a thug the ability to keep that from you. Call us at (530) 206-6377 or contact us if you have any questions!